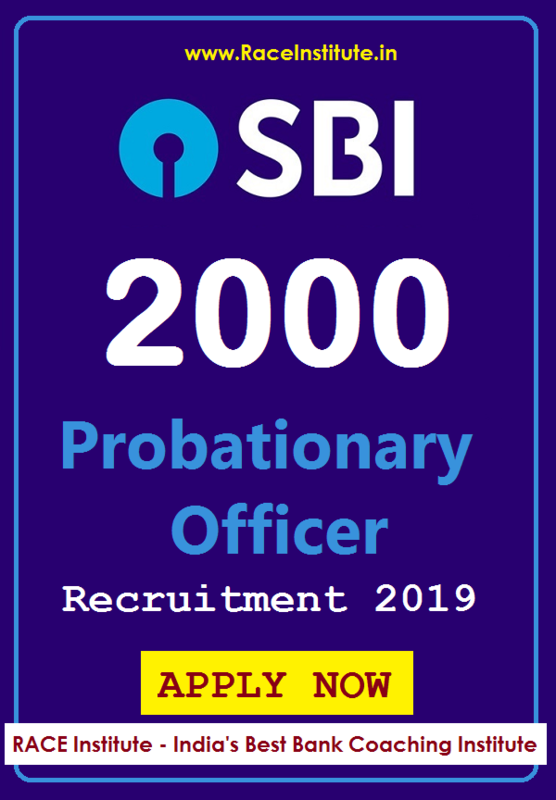 SBI (State Bank of India) released a Recruitment notification for the post of Probationary Officer for the year 2019. SBI PO 2019 notification is announced at a time when the results of the IBPS are released. It will give hope to the candidates who missed/failed in the IBPS Examinations conducted recently. Vacancies reserved for OBC category are available only to the ‘Non-creamy layer’ OBC candidates. ‘Creamy layer’ OBC candidates should indicate their category as ‘General’. Vacancies for PWD category candidates are reserved horizontally. Candidates belonging to OBC category but coming in the ‘CREAMY LAYER’, are not entitled to OBC reservation and age relaxation. They should indicate their category as ‘GEN’ or ‘GEN (LD)’ or ‘GEN (VI)’ or GEN (HI) or GEN (D & E) (as applicable). The benefit of reservation under the EWS category can be availed upon production of an ‘Income and Asset Certificate’ issued by a Competent Authority on the format prescribed by Government of India. Age relaxation as per Govt Rules and regulations. The Selection procedure of the SBI PO Recruitment 2019 is consist of a three Tier Process as mentioned below. The penalty for Wrong Answers (Applicable to both – Preliminary and Main Exam): There will be a penalty for wrong answers marked in Objective Tests. For each question for which a wrong answer has been given by the candidate, 1/4th of marks assigned to that question will be deducted as penalty to arrive at corrected score. Marks secured by the candidates in the Main Examination (out of 250 marks) are converted to out of 75 marks and Group Exercises & Interview scores of candidates (out of 50 marks) are converted to out of 25 marks. The final merit list is arrived at after aggregating (out of 100) converted marks of Main Examination and Group Exercises & Interview. Selection will be made from the top merit ranked candidates in each category.